KIRF co-founder and disaster relief volunteer Mark Kirwin is flying out to Nepal with a disaster relief volunteer from Ventura Rotary next week, May 12, 2015. Mr. Kirwin is Cultural Anthropology Adjunct Professor Angela Kirwin’s husband. The Kirwins created their volunteer disaster relief non-profit charity, called “Kirwin International Relief Foundation,” or “KIRF” for short, after surviving the Andaman Sea tsunami disaster with their children on the coast of southern Thailand on December 26, 2004. After using their own funds and volunteer efforts to help families who lost everything in Thailand, they realized that with the right disaster zone connections and cultural knowledge, they can deliver effective, efficient and locally needed disaster relief. Also, they realized that getting needed disaster supplies into disaster zones quickly and efficiently is still a huge un-met need among the poor and marginalized communities worldwide. Very often disaster relief supplies are diverted away from these communities due to national and local social and political pressures. 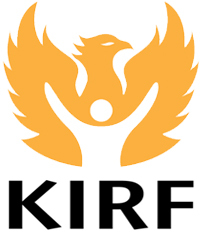 Donations made to “KIRF” for Nepal’s earthquake relief will go directly to earthquake survivors in the form of requested building and emergency supplies that will be locally purchased and delivered in Nepal with the donated funds. By purchasing locally, the funds will also help local business owners and their families hit by the earthquake disaster recover. The Kirwin International Relief Foundation is a registered 501(c )(3) non-profit charity in the State of California. Donations are tax deductible.